The Vailima Alopaopao Festival 2016 and the first Sheraton Te Aito V1 Competition will be officially launched by the Festival Patron Tuatagaloa Joe Annandale and Chairperson Jay Ah Fook-Schuster, at the Ocean Club Headquaters today. 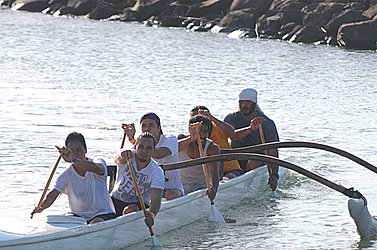 The annual Alo Paopao Festival is an international paddling festival and one Samoa’s premier sporting events. The Alo Paopao Festival is a weeklong event featuring a series of competitive, business house regattas and cultural activities. Major event sponsors are Vailima, Sheraton, PFL, Siva Afi, M & J Ah Fook and Fasaga Va’a. 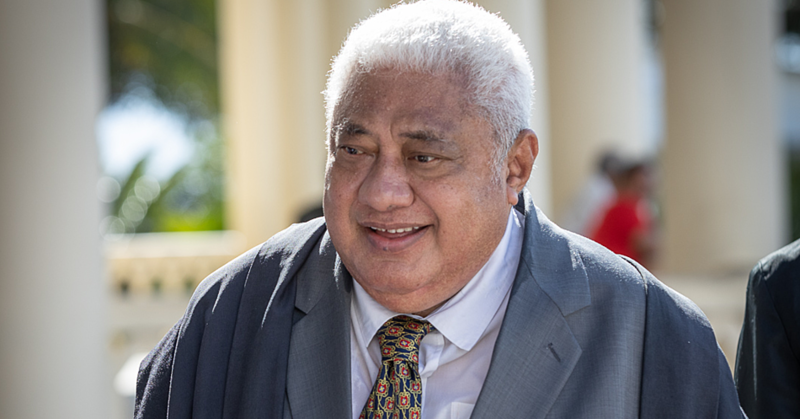 Co-sponsors are Bluesky, National Bank of Samoa and Oceania Gas. 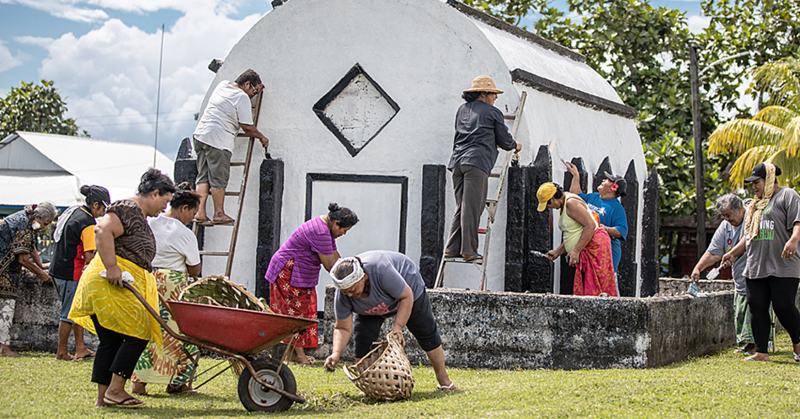 The first Alo Paopao Festival took place in 2012, in Apia and this will be its 4th year running! Before the festival, there were only two races held per year in Samoa. Its success led the organizers to establish it as an annual season, increasing the number of regattas per year. The year long season, exposes our local paddlers to competitive racing as well as opening our waters to the rest of the world, all year around. 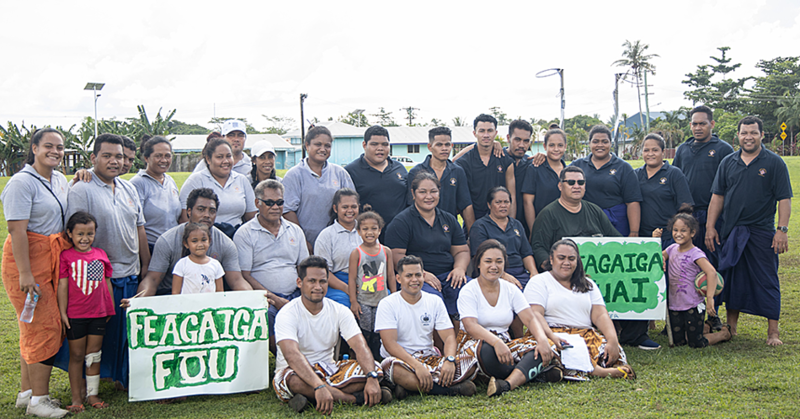 Alo Paopao will only get bigger in years to come, with more participants from locations around the Pacific. This has been demonstrated by its growing popularity each year as well as with the growth of other festivals in the region. In Tahiti a similar event, the Heiva Festival, attracts 3 thousand paddlers annually. In the Cook Islands, Rarotonga – get 2000 paddlers plus spectators attend every year. The cash injection into the Cook Island economy is approx. NZ$20 million NZ within the 2 week period. The 2016 Festival will run from Friday 26th to Wednesday 31st August. This year’s event will include an opening Ava Ceremony at the Apia Harbour, followed by a Sprint competition on Saturday 27th August, which will include junior teams and local business house teams. This will be followed by a Cultural Day, traditional paopao games and to’onai lunch held at Maninoa Beach, Siumu. This event will feature a traditional paopao race, and local villages will be invited to participate. Additionally, there will be promotion of local food through a umu demonstration and local produce food stalls. The 15km & 18km Marathons will be held on Tuesday 30th & Wednesday 31st August. Finally, the festival will wrap up with a Cultural Show and Closing Ceremony on Wednesday evening. The Festival also signifies the start of the new local paddling season which runs for a full year, starting and ending with the Alo Paopao Festival 2017. The Season includes 8 regatta events in addition to those hosted during the Festival. The Alo Paoapao committee will also be announcing the first ever Te Aito V1 Competition in Samoa sponsored by Sheraton to be held on Saturday 3rd September on Apia Harbour.